The red shaded area shows a resistance zone where rallies have died since the heavy volume August selling. 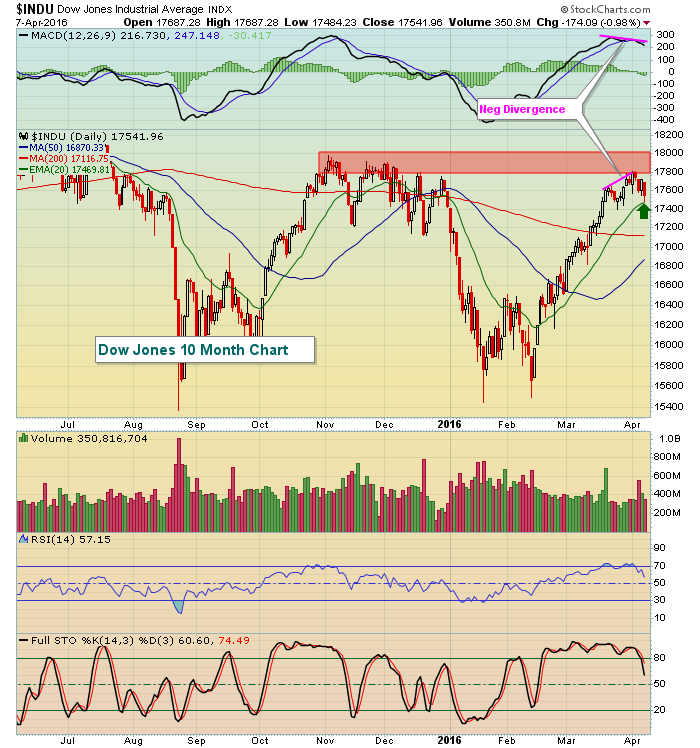 The Dow Jones was beginning to test that price resistance zone when the negative divergence emerged, signaling slowing momentum to the upside. That's key here because the rising 20 day EMA has continually offered solid support for the bulls while momentum was accelerating to the upside. Now it's being challenged, but with slowing momentum more apparent.